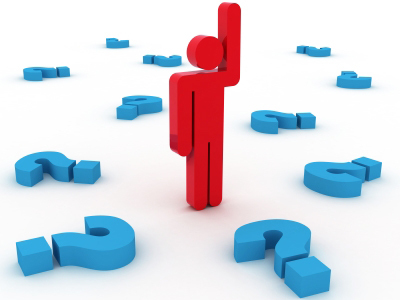 Question and Answers in teaching, How to deliver outstanding questioning in the classroom? Like with everything in life, keep things simple. I am not at any point saying that this is my idea or concept but for many years I have used the following idea for appropriate questioning for assessment for learning in the classroom. This is an idea that one of my mentors back in the days explored in a training session and then I went on to develop with my own pedagogy in teaching. PAUSE – Ask a question and wait, and then wait, wait a bit longer, until it is uncomfortable. As teachers we give learners so little time to answer questions and more often than none end up answering the question ourself. Get someone to observe you and measure the time you give for learners to answer questions, the results are shocking! To force an answer you might want to do a think, pair and share exercise. POUNCE – After the long wait, pounce on someone, anyone, at random and get them to answer the question. This must random to force all learners to think about answer. They must give you a response, even if it is guess!! This person must give you a response!! It may be awkward but be resilient!! BOUNCE – This is the most important component, bounce the answer to the question from one person to another in the classroom, what did you think of the answer pupil A gave? Why do you think Pupil A is right? Why do you think the answer is wrong? How could the answer be improved? How did pupil A get to the answer? You might even ask the whole class and survey the whole class and ask who agrees? disagree? unsure? This is the most fun part of this process and needs a little refining, but when you get it right it is highly satisfying and rewarding. I find that if you tackle each question you ask in the classroom with this simple approach, then you will get great Assessment 4 Learning and answers that develop high level thinking skills. Do not forget to highlight each of your questions in your lesson plan with “Present”, “Pause”, “Pounce” and “Bounce” to show your observer that this is the way you approach your questioning!!!! Now just to add if you are Mathematics teacher who wants to develop practice than Jayne Bartlett’s Becoming an Outstanding Mathematics Teacher is a great book to read and develop your Mathematics teaching pedagogy. Try the book or some of the ideas discussed above and let me know what you think in the comments section below! ‹ Look at what the OfSTED inspector said about you, Amazing!